In the blues, slide guitar is often called "bottleneck guitar" because many rural blues artists would crack the neck off of a bottle of beer or whiskey and use the glass as a slide on their guitar neck, sliding it across the strings for effect. Legends of Bottleneck Blues Guitar features a handful of crucial rural blues players demonstrating their mastery of the slide guitar. 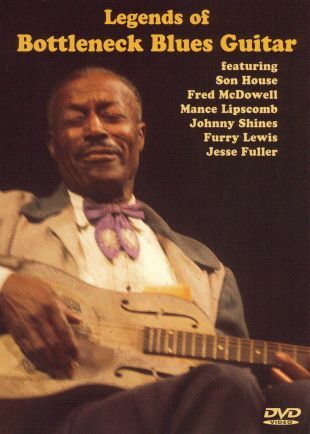 Performers include Johnny Shines, Mississippi Fred McDowell, Son House, Furry Lewis, Mance Lipscomb, and Jesse Fuller.